Mindless Mumbai: what do i see? hello hello. mindless mumbai has been laying low for a while. i've been in a not very happy phase when it comes to my collection of photos of mumbai. hoping to change that in the coming weeks. i've realised that sometimes its easier to capture a space when one is a short term visitor as opposed to being a permanent resident. when one is the latter, one needs to question one's ways of seeing even more often. 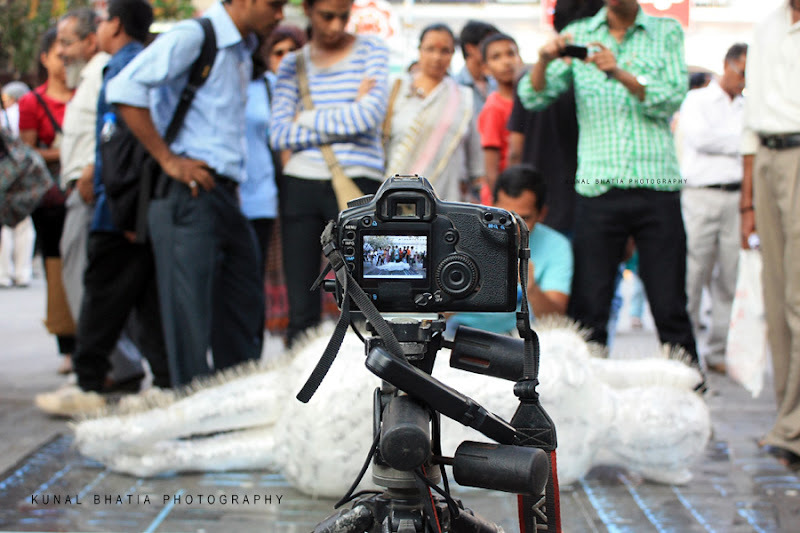 in the photo: one of the installations at the 2011 kala ghoda art festival. Welcome back~! Reminds me to use the timer on my camera so I can be in a photo sometimes, too! Dude, your blog is an inspiration. Keep it rolling. everyone goes thru. a change and transformation of thoughts which are reflected in the photography.Accept the change , becauz clouds have to come and get cleared for sunshine to come in . abitoflife magazine blog also keeps on changing and growing with time .